Praying for the best possible miserable situation. 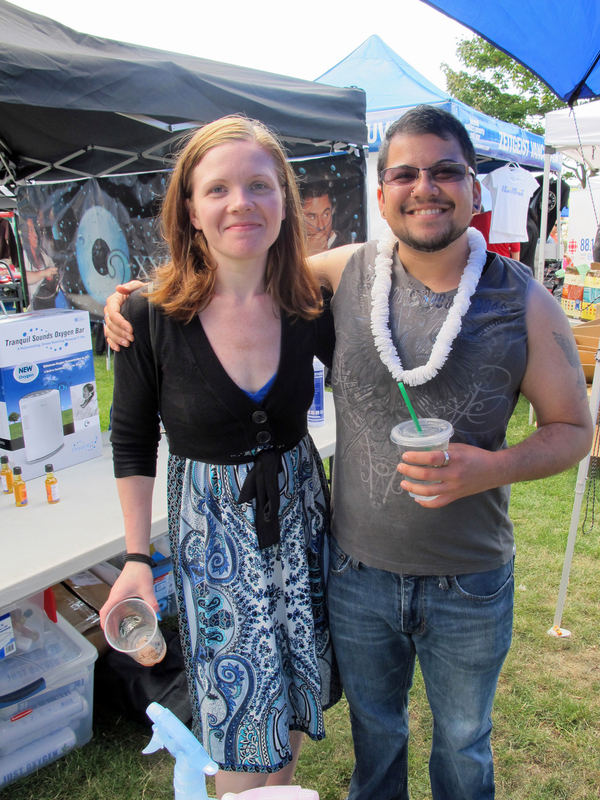 I took this photograph of April and Micael at the T-bodies booth the afternoon of the Vancouver Pride parade last month. What a charming pair of siblings they are! 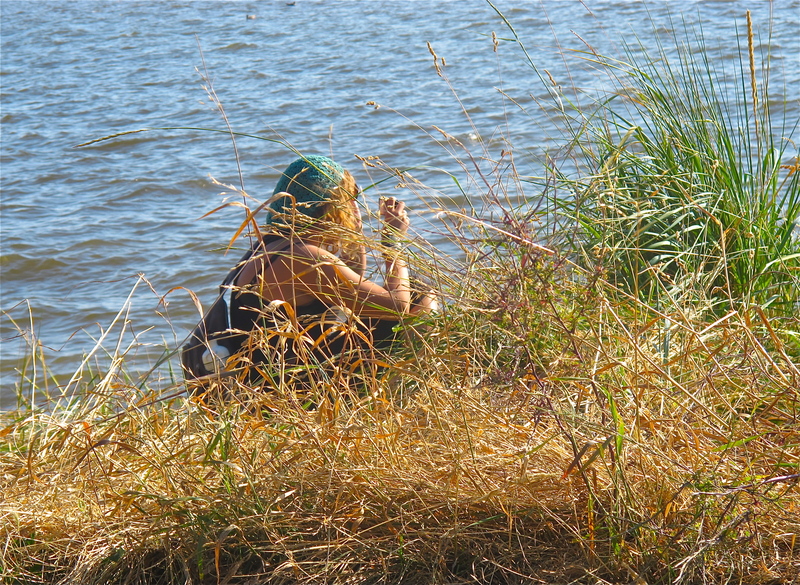 Micael appeared in the inaugural, 2009 Manamorphosis calendar published by T-bodies Productions. The calendar featured photographs of a dozen female-to-male transgendered individuals. It was the first publication of its kind and beautifully done; I was proud to be a small part of it. You can also find Micael’s photo and those of other Manamorphosis models on some very cool playing cards. 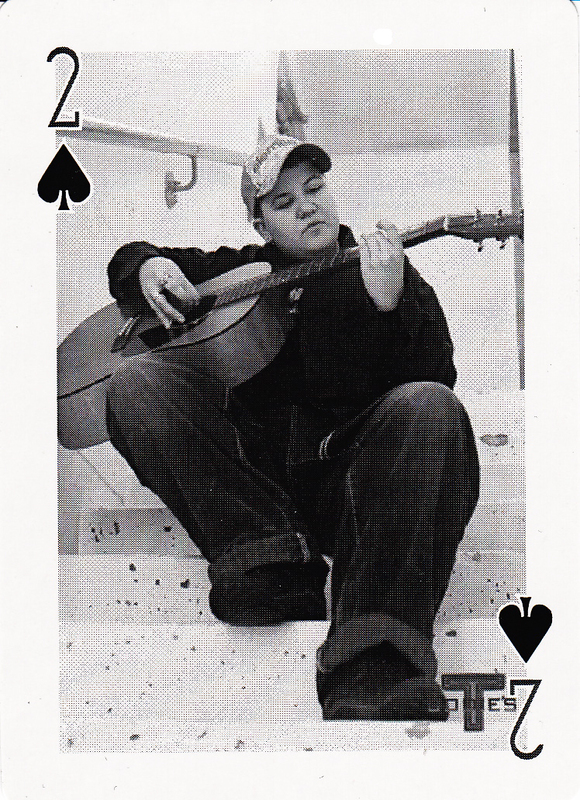 Micael is the 2 of spades. The photograph below shows him at a relatively early stage in his transition. A delightful headline. As my friend Michelle Stephenson said on her Facebook page: “Duh.” Bisexual men have seemed to go in and out of existence — as well as in and out of style — for a long time. There were years when the otherwise enlightened Dan Savage, for example, sounded an alarm that men who called themselves bisexual were *really* either heterosexuals temporarily experimenting or homosexuals too gutless to join their real home team. I imagine that true bisexual men have found this claim to be, in the main, discombobulating. Once I have put time into authors or performers, I tend to stay attentive to them indefinitely, whether their appeal remains or not. Nothing by or about Jack Kerouac fails to attract my attention, for example, though disdain displaced my admiration for his work more than two decades ago. One might say that this is “like following one’s old girlfriends on Facebook,” though this analogy doesn’t work for me because I very much still admire these particular Facebook friends. I once very much admired Shirley MacLaine, not just for the acting she did in “Irma La Douce” and “The Apartment” but for her writing as well. 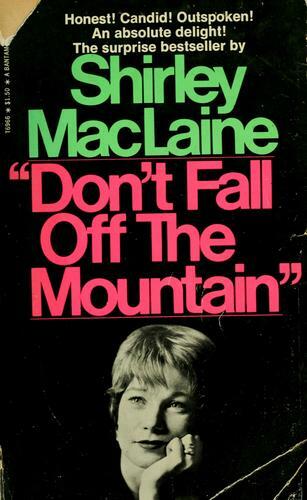 Her first memoir, “Don’t Fall Off the Mountain,” is charming and vivid and intelligent; her second, “You Can Get There from Here,” is almost as good. When her memoir “Into the Light” helped kick off the New Age movement in North America back in the late eighties, I was ready for it, and ready to like it, too. “Into the Light” was an important book, revivifying fusty late 19th-century occult ideas with technicolor language and action narratives (and with a very appealing narrator). I had already read many of the occult writers — Rudolf Steiner, Madame Blavatsky, Alice Bailey — because some good friends … what is the proper phrase to use here? … because some good friends of mine believed in their visions, or tried to, and I wanted to be able to talk with them about mystical worldviews. I wrote a sympathetic but skeptical critique of “Into the Light” for Free Inquiry magazine. Within a couple of years I was known around the world as an expert on the New Age Movement, though I had no real interest in the topic. Thank you, Shirley. My summer classes completed their final online posts last night. I’m very happy with how our blog turned out. “Stanford Magazine” revisits the “Stanford Prison Experiment” conducted by Psychology Professor Phil Zimbardo back in 1971. The experiment is as notorious for what happened to its human subjects as it has been useful in understanding “the central role of power in our lives,” to use Zimbardo’s phrase. The experiment was approved by Stanford’s Human Subjects Research Committee, and in 1973 the American Psychological Association said “the prison study had satisfied the profession’s existing ethical standards.” Such standards, alas, no longer exist today, having been replaced by much more restrictive ones, which err, so to speak, on the side of doing as little harm as possible to people. You can take the Research Ethics Tutorial required of Canadian professors and students these days.